It's easy to set goals, to enter into the New Year with the whim that this year will be different; that we will find some kind of inner super-power that will make us awesome beyond belief; that reaching our goals will just happen. Magically. But you and I both know that life doesn't work like that. Excellence doesn't just happen by accident. If we want to make a goal, we've got to do the work. If we want something bad enough, we've got to take Radical Action to create it. Radical Action is doing anything and everything to jumpstart the change process. We must become a fanatic. We must be willing to create significant and extreme change. Radical Action means sacrificing more than we ever want to and working harder than we ever thought possible. It’s about stretching our strength, our resolve. It’s a memo to the universe that we’re serious. And that we’ll do what it takes. It seals our self-promise in blood, sweat - maybe even tears. If we’re not serious about changing, this step will be painful. It will eventually cripple us and stop us in our tracks. But if we are serious about changing, this step will be laughable. We’ll see how simple it is to apply effort and see change happening right before our eyes. We’ll see ourselves as the creator of this change. And we’ll love it. This step separates the talkers from the doers. It leverages our investment in the change process and catapults us toward success. Radical action isn’t just doing little things here or there. It’s about being a disciple for change, an advocate for our future. Radical Action is drastic. It’s getting another job. Or two. Or three. And using that money to pay off debt. It took me three jobs to jumpstart my debt-payoff. I wasn’t screwing around. I wanted to pay it and get it done. And it worked. Radical Action is selling all your crap. Seriously, as much as you can. I sold upside-down houses, my real estate investments, my retirement accounts. I sold dresses, handbags, furniture. I sold tools, toys, electronics. I sold anything and everything that I could and put it all toward debt. Let me be clear, Radical Action isn’t just living on beans and rice or moving under the nearest highway overpass. It isn’t about deprivation or punishment. It’s about conscious, deliberate choices that are made from an empowered place. Radical Action is lowering your overhead. It’s canceling your cable, gym memberships and yoga classes. It’s letting your roots grow in and your nails go back to natural. It’s about cooking at home, pot lucks and movie nights. It’s about coffee rather than cocktails. It’s about making real changes in your lifestyle. Radical Action isn’t starving yourself. It isn’t punishing your body through extended hunger strikes or body-harming-workouts. It isn’t taking pills or drugs. It isn’t about a juice fast. Or the latest cleanse. Radical Action is about being responsible for your own body. It’s about self-care. It’s about taking responsibility for this change. It’s not about blaming, punishing or depriving. Radical Action is clearing out the cupboards, shopping mindfully, preparing a menu. It’s about being conscious and deliberate with your food and drink choices. Internally, Radical Action is a chance to be proud of yourself, to high-five yourself, to feel awesome. Externally, Radical Action jumpstarts a powerful chain of events. It’s the first domino to tumble in the series. It gets the momentum going. And you’ll need this momentum. It carries you through the times when you want to give up, when you think changing is too hard and you want to quit. Radical Action helps redefine who you are. It helps you prove to yourself that you are not just someone who hopes to change. You are someone who creates it. Will Your Online Advertising Sink or Swim? 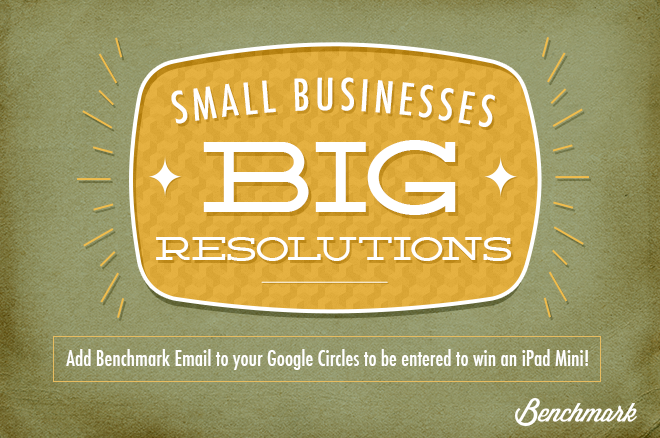 Add Benchmark Email to Your Google Circles & Win an iPad Mini!